← Video: Australian Baseball League Ad – Baseballs Attack Aussie City! 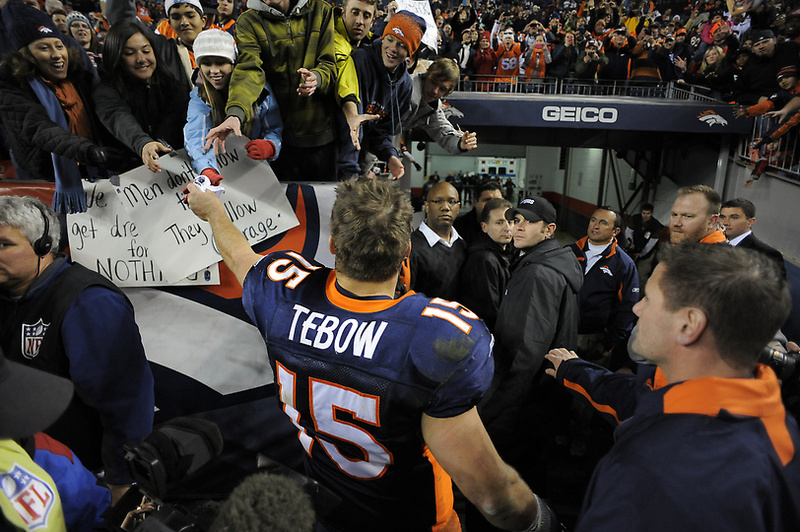 As Tim Tebow was leading the Denver Broncos to another improbable victory against the Chicago Bears yesterday, baseball’s tweeps got “Tebow Fever.” The action picked up as Tebow was driving the Broncos for their first score with a little more than two minutes left in regulation. The fever gets so hot that one tweep gave him credit for Matt Prater’s 59-yard game-tying field goal! READ THE COLUMN HERE! This entry was posted in Hit The Deck, LOL and tagged Baseball, Chicago Bears, Denver Broncos, Denver Post, LOL, Matt Prater, Tim Tebow, Twitter. Bookmark the permalink.